We have in-house mobi tech team to support our digital marketing activities. Digital marketing is a combination of creativity and technical knowledge and there has to be synergy among the people of different skill set. The team consists of experienced members with many years of experience of working for clients from various domains. Get in touch with us to work with our Mobi Tech Team. Our team of usability experts and marketers collect the website’s requirement, study the market and competitors and they come up with a set of suggestions. Then we collect a set of questions that a visitor will probably ask while visiting the site like “How can I trust the company?”, “Is their services the best in the market?”, “Can they cater to my requirements?”, “How do I contact them” etc. We then answer the queries through the website design. A logical mock up is prepared. Once the logical and functional layout is ready, the engineering team lets the artists do their job. Eye Candy (good look and feel) IS A Critical Business Requirement and our artists do it really well. A technical architecture is the backbone that supports the code and the design, making the website more scalable and manageable. 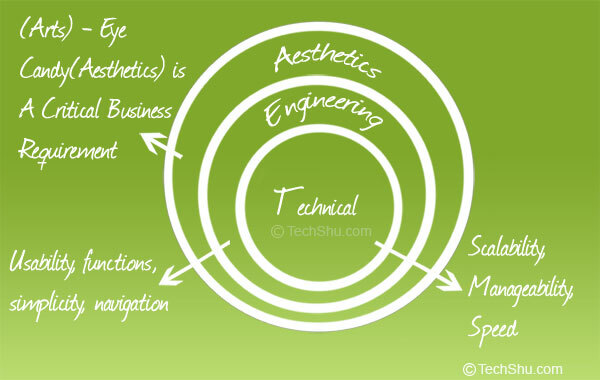 A good technical architecture helps us as well as the clients in developing, extending and maintaining the product . With proper architecture we also ensure that the code is clean and the website is fast. We use proper cache, CDNs and HTTP_PIPELINING for extra speed and div base design for progressive rendering.